Ruffles & Valentine’s Day just seem to go together perfectly. 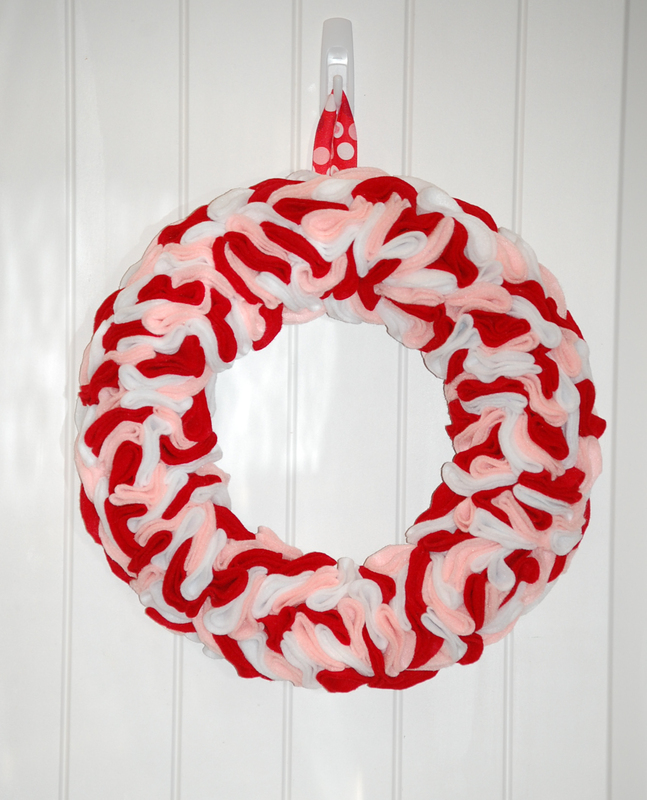 Domestifluff has posted a tutorial for this wreath, when i saw the all white wreath i instantly thought wouldn’t that be so cute in pink, red, and white for Valentine’s Day. 2.5 yards of felt sounded like a lot, but it really does use a lot of felt. Pin the circles more spaced apart for a looser look and probably a lot less felt. 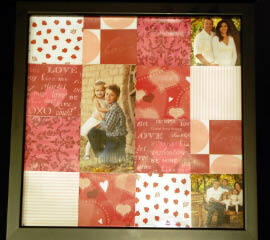 Make a simple wall art for Valentine’s Day. i took 5 different valentine’s themed scrapbook paper and cut 2 3×3 squares of each one. After arranging them i glued down with mod podge, let dry, and then mod podged on top. 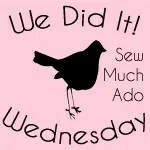 To make this a really inexpensive craft, look around the house for a frame you can “borrow” for a litte while and make your squares to fit that frame. Can you tell i am missing my Christmas decorations?? The house just feels so empty, just trying to fill it out a little.